While environmental disputes and conflicts over fossil fuel extraction have grown in recent years, few issues have been as contentious in the twenty-first century as those surrounding the impacts of unconventional natural gas and oil development using hydraulic drilling and fracturing techniques-more commonly known as "fracking"-on local communities. 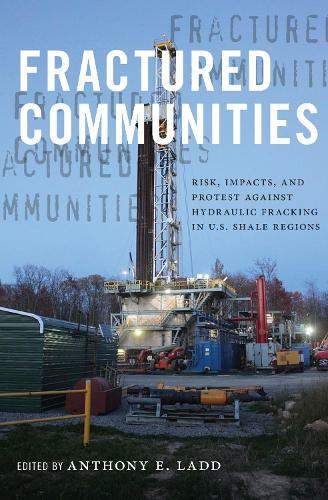 In Fractured Communities, Anthony E. Ladd and other leading environmental sociologists present a set of crucial case studies analyzing the differential risk perceptions, socio-environmental impacts, and mobilization of citizen protest (or quiescence) surrounding unconventional energy development and hydraulic fracking in a number of key U.S. shale regions. Fractured Communities reveals how this contested terrain is expanding, pushing the issue of fracking into the mainstream of the American political arena. "Fractured Communities is a rigorous, innovative, and informative piece of work, consisting of an impressive list of authors and exceptional scholarship." --Thomas Shriver "North Carolina State University "
"This well-crafted collection of chapters by a number of distinguished researchers addresses some of the most pressing environmental and social problems of our day. Fractured Communities is required reading for those interested in the impacts of energy development on the environment and communities." --Richard York "director and professor of environmental studies, University of Oregon "